The Troop Librarian oversees the care and use of Troop books, pamphlets, magazines, audiovisuals, and merit badge counselor lists. He checks out these materials to Scouts and leaders and maintains records to ensure that everything is returned. In our Troop, all merit badge books are stored in the local library. 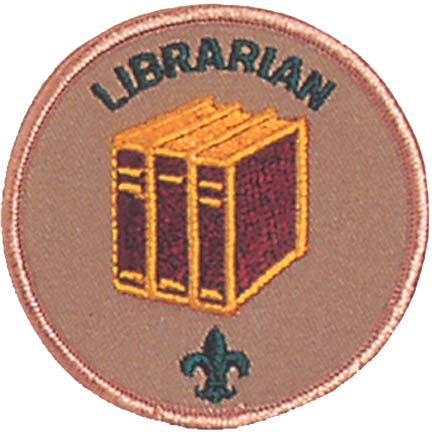 The Librarian occasionally checks the condition of the merit badge books in the local library and also suggest the acquisition of new literature and report the need to repair, replace, or update any current holdings. First off, "Thanks!" for taking the position of Troop Librarian. Both the Senior Patrol Leader and the Scoutmaster feel that you can do a good job. The other leaders and Scouts are all counting on you. The Troop library is more than just a collection of pamphlets. It is a source of information about how Scouting is done today and about how Scouting used to be. Some of the materials in the library go back to the early days of Troop 344. The pictures and language may seem a little dated to our modern eyes but seeing how things used to be can be interesting. Besides, when some adult begins talking about what they had to do as a Scout; you know, the "had to walk 50 miles to summer camp through waist deep snow, uphill both ways" kind of story; you can get out the Boy Scout Handbook from back then and see what the requirements really were. Your job as Troop Librarian is to care for this collection of materials. Preserving what is already there and adding new materials as needed are a part of the job as is making the materials available to other Scouts and leaders. * Check materials in and out of the library. * Recommend new materials for addition to the library. * Receive used merit badge books from other Scouts and fill out the buy-back form. * Add materials to the library. As Troop Librarian your tasks include checking materials in and out of the library and in maintaining the library by replacing outdated or damaged materials and by adding new materials to the library. The following procedures were set up to help you in these tasks. Don’t feel, however, that these procedures are the only way to do things or are the best way to do things. If you have a better way talk to the Senior Patrol Leader and the Scoutmaster. If they agree then change the procedure. Checking materials out of the library is simple. First, print today’s date in the "Date Out" column. Then print the number of copies of that item borrowed in the "# Copies Borrowed" column. Most of the time people will only check out one copy of an item but sometimes (like for songbooks) they might need extra copies. Print the title in the "Title" column, print the borrower’s name in the "Name" column, and have them sign the "Signature" column. That’s all there is to it! Checking in materials is even easier. To check an item in just print the date it was brought back in the "Date In" column and put the item back in the library. Sometimes library materials will get damaged or lost while they are loaned out. If this happens go ahead and check the item in by writing the date returned or if the item was lost write the word "lost" and the date reported and report the loss or damage to the Scoutmaster. Usually the troop will just replace the item without any penalty but that is the Scoutmaster’s decision. Eagle-Required Merit Badge Pamphlets: The troop wants to have at least one copy of the merit badge pamphlet for all Eagle-required merit badges. One of your first responsibilities is to ensure that we are fulfilling this commitment. If there are pamphlets missing you need to talk to the Scoutmaster about getting them replaced. Replacing Worn-Out Items: Eventually all of the materials in the library will need to be replaced - especially merit badge pamphlets which get the most use. When you think an item is worn beyond repair you need to decide if it should be replaced. First, you need to see if there are other copies in the library. If we have other copies it may not be necessary to buy a replacement unless the item is used a lot. Then second question, of course, is how often the item is used. Here’s where the old check-out sheets can help. If you decide that the troop should buy a replacement you need to tell the Scoutmaster that you recommend buying a replacement. If the Scoutmaster agrees then tell the Advancement Chairperson that the troop needs to buy the item. The Advancement Chairperson will buy the item and give it to you to be put into the library. The old item should be destroyed. Be sure to mark the replacement as troop property and update the list of materials before putting it into the library. 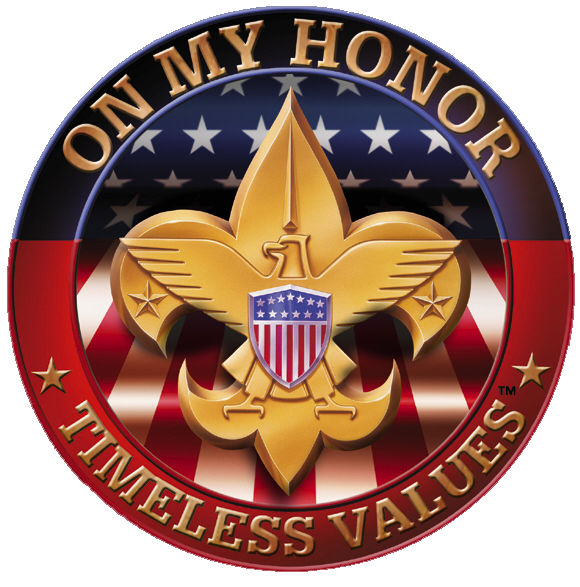 Out-of-Date Materials: The Boy Scouts of America changes materials from time to time as new program elements are added or as requirements change. When this happens the troop needs to update the library. The biggest problem is finding out when these changes happen. Your best source of information is the District Roundtable. These meetings happen once a month and there are sessions for adult leaders and for the Senior Patrol Leader. Remind your SPL of the need to attend these meetings and to be sure to tell you of changes to the literature. When a change does happen you need to determine how many items are effected and decide what new items should be purchased and how many of each type are needed. Make your recommendation to the Scoutmaster. The out-of-date materials are not destroyed but should be put with other obsolete materials. Again, don’t forget to make the replacements as troop property and update the list of materials before putting them in the library. New Materials: Every now and then BSA will introduce a new merit badge subject or will publish a new reference book. You are responsible for reviewing the new materials and recommending whether the troop should purchase a copy. To make the job easier you only need make recommendations for the items you think we should buy. If you don’t think we need a copy you don’t have to make a recommendation. When you get near the end of the blank forms then you need to get more. The original forms are are found on the forms page. You can ask the Scoutmaster or Advancement Chairperson to make the copies for you unless you have access to a printer. This manual, the form, and the procedures are not the final word in troop libraries. They were put together simply to give us all a place to start. As you become more familiar with running the library you will see better ways to do things. Don’t be afraid to recommend changes - that’s part of your job as Librarian. When you develop a better method talk it over with your Scoutmaster and then, if he agrees, GO FOR IT!